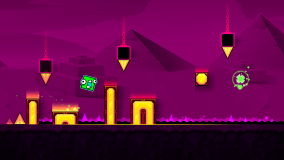 Download Geometry Dash SubZero APK v1.00. 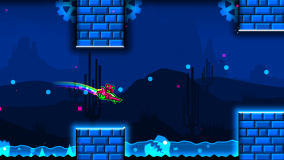 Geometry Dash SubZero is posted in Adventure category and is developed by RobTop Games. The average rating is 0.0 out of 5 stars on our website. However, this app was rated 4.7 out of 5 stars according to different rating platforms. 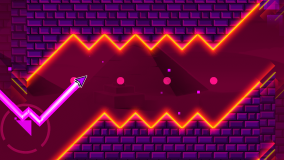 You may also leave your review for Geometry Dash SubZero on our website so that our users may have a good idea about the app. 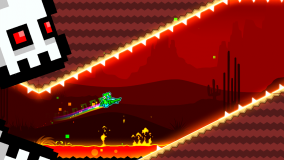 If you want to know more about Geometry Dash SubZero then you may visit www.robtopgames.com for more information. Average rating of 4.7 is calculated by taking account of ratings by 94,608 users. The app was rated 1 stars by 4,577 users and 5 stars by 79,887 users. This app is downloaded minimum 5,000,000 times but the number of downloads might be as high as 10,000,000. 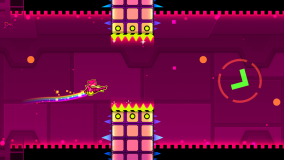 Download Geometry Dash SubZero if you need a free app from the Adventure category for your device but you will need Android 4.0 version or higher to install this app. This app was posted on January 11, 2018 and is available since then on AndroidAPKsFree. The current version is 1.00 and is now downloaded more than 1,708 times from our platform. The app is available in english and the total versions you can download are 1. Download APK and open it using your favourite File manager and install by tapping on the file name. If the installation does not start then you need to enable unknown sources from your Android settings. The app was updated 1 year ago, some apps like Geometry Dash SubZero are Temple Run, Terraria, Real Racing 3, FIFA 15 Ultimate Team, Minecraft: Pocket Edition Demo, Pokémon GO, Ingress Prime, Minions Paradise™. If you want to write a review then install this app and rate on our website. The download is hassle free as our speed is fast and we offer direct links to all the available 1 versions of the Geometry Dash SubZero free. 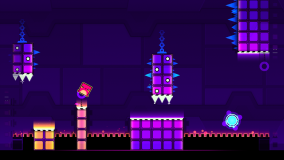 What's new in this version of Geometry Dash SubZero?